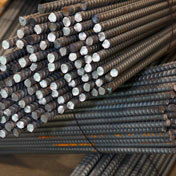 Upstate Rebar is a family owned and operated certified women-owned business enterprise founded in 1996 in Buffalo, NY. Today, with an expanded product line, full estimating and detailing capabilities and our own fleet of trucks, Upstate Rebar serves the reinforcing bar and construction supply needs of its customers throughout Western New York and parts of the United States. We have developed a reputation for providing complete customer satisfaction by solving our customers’ unique needs. "Over the years, we have handled the unique and sometimes challenging needs of our customers and proven over and over again we are up to the task."